Introduction to Matt Guidice: Why I started Matt’s Flights! My name is Matt Guidice, welcome to Matt’s Flights. I’m really glad that at at least someone is reading this! I started Matt’s Flights because travel has had such a profound positive effect on my life that it was only right to find a way to help more people get that same outcome. Since graduating college at the University of Central Florida (Go Knights!) I have been travel hacking my way through 30+ countries and 25 states. I held a fantastic job at the largest financial institution based in Miami as a Recruiter but found myself flight hacking most of the day for friends, family and co-workers. 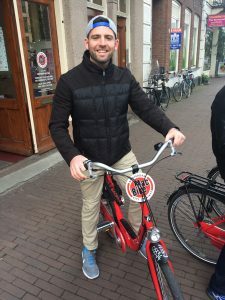 A good buddy of mine, after finding him a cheap flight to Amsterdam for $300RT, came up with the idea on how to get my travel hacking ways available to the world. No longer do I spend all day and night looking for deals I can personally enjoy but now all of my subscribers can benefit as well. It’s my greatest achievement being able to help people see how truly marvelous the world really is.